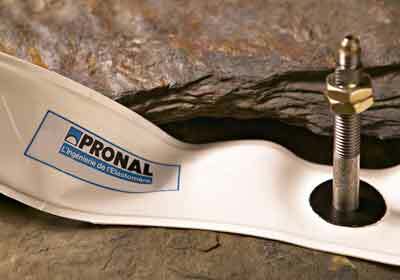 Pronal inflatable seals form a tight barrier between two surfaces. 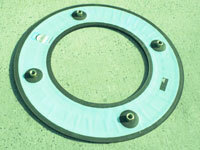 Because of their high mechanical resistance, they are used for applications where a perfect seal is required. 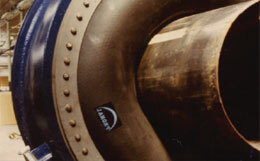 Available either as original equipment or spare parts, they are frequently applied in or between pipes; as an annular seal; or in tubes, conduits and machinery and installations involved in the industrial, mining, mineral processing, offshore, energy and safety sectors. 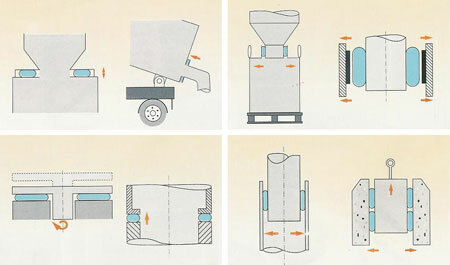 Examples include providing a leakproof seal between gas or liquid pipes in the oil and energy industries; plugging leaks from tanks, cisterns and pipes; sealing crushing equipment in the mineral processing industry; and to facilitate grout packing for offshore platforms or similar structures. Sometimes referred to as doughnut seals, Pronal seals have many applications in the bulk handling industry. 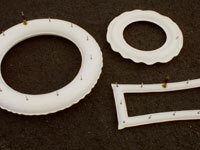 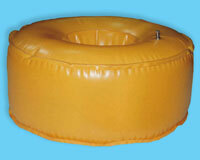 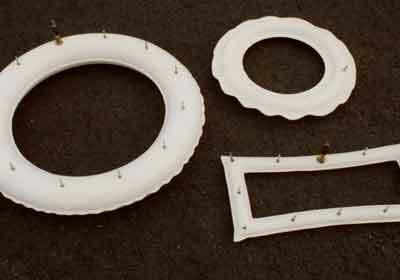 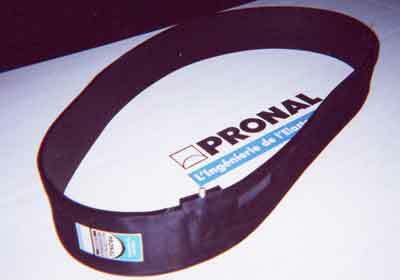 For example, a Pronal inflatable seal can effect an airtight dust seal around the necks of hoppers. 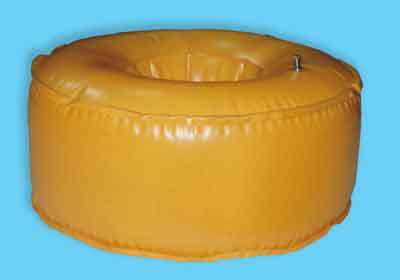 Depending on the application, Pronal inflatable seals are made from either vulcanised fibre-reinforced synthetic rubber or polyeurethane (both reinforced or unreinforced).